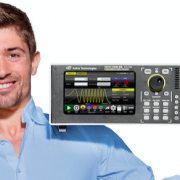 The ARB Rider Series , based on a 2,5 Gs/s DAC with 14 bits resolution , offers premium signal integrity with the easiest to use touch screen display interface (SimpleRider™). The Generation of complex signals requires only a few screen touches. The output Voltage can be adjusted up to 5 Volts pk-pk into a 50 Ω load with possibility, thanks to the direct analog Bandwidth of 1 GHz, performing edges lower than 350 ps. (based on RiderEdgeTM technology @500 mV). 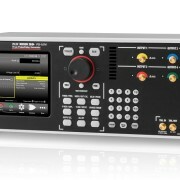 During the summer of 2017 we will release also the new The Riders 2 Ghz AFG based on a Worldwide best performance high resolution Digital to Analog Converter (RiderDAC™ 16Gs@ 16 Bit), that meets the market demand for high sample rate, dynamic range and very deep generation memory, combined in a very reliable and complete solution. 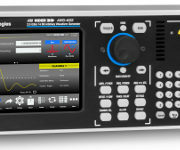 The ARB 4022 Rider includes the most ergonomic user interface on the Arbitrary Generators market, which allows users to generate waveforms quickly by a few screen touches. The 7” touch screen display makes extremely easy to define the perfect signals for your application by offering a complementary soft keyboard and a useful central knob for fine-tuning and adjustments during the set up operation. Configurations may be stored on the system memory for easy configuration recalls. (USB input also provided for personalized usage units for multiple users) . Multiple channel generation is always available with the basic Dual Channel version. 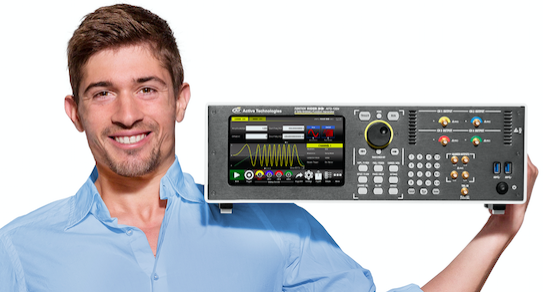 The ARB 4022 Rider perfectly match the demand waveform generator with full function AFG and AWG with digital channels modes. Thanks to the Simple Rider interface user’s has a dedicated interface similar to traditional AFG . This made simple and quick the generation arbitrary waveforms or complex modulations in few bottom clicks . The touch screen displays all related parameters at one glance with possibility of using the internal or external display mode. 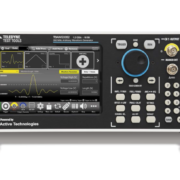 DDS’s Patent feature is helping designers to switch from one frequency to another by simply rotating knob or button clicks, without concerning the sampling rate or waveform length. In Advanced mode, designers may generates complex waveforms with up to 16,384 entries of analog waveforms and digital patterns in a sequence, in terms of loops, jumps, and conditional branches. Trigger events may be generated internally or capture by external analog trigger input or remotely from Ethernet or GBIP connections. The trigger output may be delayed according to the application, thanks to RiderEdge technology, amplified to increase the dynamic from small signals inputs. Trigger in and Trigger out may be used to sync multiple units to obtain several pulses and provide a perfect solution for specifics application in Big Physics or Military application. 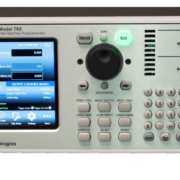 The large dynamic range combined with the fast edge rate represents an excellent solution for semiconductor validation as well. Arb and Function Riders will be the iconic instrument for several applications. Emulation of I/Q RF modulation vs wireless devices is becoming essential on Internet of things or industry 4.0 applications. Industrial segment such Power or Automotive , are requiring the generation of Power Train signals , PWM modulation or CAN and Ethercat patterns . Each engineer may use ARB Riders to emulate signals to be applied on devices under test with the possibility to insert noise and distortion and test the ability of devices to be compliant to the standards. 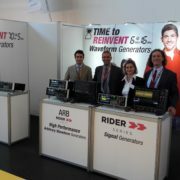 Research centers and Universities, will be key users of have Rider generator ‘s series. Complex waveform and/or fast Pulses or sophisticated emulation of multilevel edges are widely used in large experiments such Accelerators, Tokamak or synchrotrons. Defence signals from sonar or radar application will be also easily generated from the ARB 4000 series. The fast edge and large Bandwidth may also help the device characterization on Silicon Chips.